Dr Evan Jones continues his examination into an instance of "buyer beware" strata title ownership, which highlights the shortcomings of legal rights for owners. AT THE LOCAL LEVEL, Body Corporate Services (BCS), the managing agency presiding over this strata scheme from hell, reflects incompetence, lassitude and indifference. In attempting to understand the background to BCS Wollongong’s mismanagement, one confronts that the agency’s record keeping is pedestrian to shoddy. Annual general meeting minutes are minimalist. Annual financial accounts merely tick the boxes, carry cryptic labels and range from being unhelpful to misleading on key issues. Past decisions and expenditure details disappear into oblivion. For example, payments for consultancy services have been listed without any record of what these consultancy services are for or what outcomes resulted from this expenditure. In particular, what is from an outside source described as a previous expenditure of $2000 on Lot 1’s skillion roof – the one precisely where the leaks remain – is labeled in the 2012-13 'Financial Year End Accounts' as 'general service replacement'. Figure that one out. And did anybody follow up why that expenditure had no lasting results? BCS Wollongong is merely an extended tentacle of Body Corporate Services strata management. Alex (who is trapped in a dysfunctional strata scheme) has copied BCS Head Office in Sydney in her emails expressing concern regarding her predicament to Kate (strata manager). No response. At BCS Strata Management, we recognise the importance of listening to our clients. Continually improving our processes to better satisfy client needs, we endeavour to offer best-practice service standards in our provision of strata management through better guidance, reliable support and excellent delivery. Your experience with us should be a pleasant and a productive one, and in order to assist in achieving this we have created a charter of service standards we are commited (sic) to. Like the banks, it’s all just so much diversionary hot air. BCS Head Office evidently has a well-designed system that prevents ready access to real people — responsible personnel by which a strata owner can represent their ongoing problems and be met with assistance and action in resolving those problems. Alex has found that the insistence at reception on denomination of the Strata Plan at issue leads immediately to the redirection of the call to Wollongong, which is the source of the problem. I called Sydney BCS to get an email address so that I could register a complaint about the Wollongong impasse. The receptionist was nonplussed: "We don’t have a generic email address for such a purpose", I was told. There is a box on the BCS site where one can register a complaint but that impersonality is not good enough. Where does it go? What happens then? Nothing? Eventually, after much haranguing, the receptionist gave me the email address of the head of the BCS Sydney Branch. I sent my complaint to her. "Nothing to do with me", she noted — but at least forwarding my complaint to the NSW office (as well as back to Wollongong). No response from NSW Head Office. Community After Hours is an emergency call centre service offered by BCS Strata Management to its clients, where trained staff answer emergency maintenance calls. The service can assist you with all after hours emergency issues affecting common property in BCS client properties in New South Wales. She was informed (by Glen, who gave his name reluctantly only after insistence by Alex and who grew increasingly irritated) that BCS had no emergency services in the Wollongong area, that she should ring BCS in office hours, that Alex herself was prohibited from effecting any temporary structure to inhibit the leaks because her house was common property and to get off the phone pronto as he had urgent calls to attend to. Glen refused to log her call. Comes more heavy rain on the weekend of 18-19 June, bringing further deterioration to Alex’s house. Nobody with the ability to resolve this impasse cares — no doubt sleeping soundly in their own well-protected abodes. With an unparalleled depth of local knowledge and experience, BCS delivers better guidance and reliable support to a portfolio of clients ranging from two to over 750 lots … we tailor our service solutions to meet the unique needs of our clients across an extensive portfolio. One would think that the NSW head office would do something about the incongruity between its effusive self-congratulations and the nonsense that prevails at BCS Wollongong. Not so. PICA is, in turn. jointly owned by FEXCO (Ireland) and Nippon Kanzai Co (Japan). Wollongong is a long way from Ireland and Japan and it shows. Neither BCS nor its parent company PICA are listed on the Australian Stock Exchange (as indicated by PICA’s “Pty Ltd”). Being non-listed, no figures are publicly available on their operations. BCS itself is a hydra-headed company, clearly highly bureaucratised, with its evident focus on big projects regarding property development. Strata management constitutes only one division, with strata unit owners merely fodder for the profit machine. There is a whiff of “dodgy brothers” about BCS and PICA in their transparent opaqueness and impermeability to absorbing and resolving adverse feedback from below. Box-ticking procedures appear to substitute for hands-on professionalism, with both substantive management and integrity as potential casualties. Peripheries like Wollongong constitute just another patch of turf with little attention to whether the company’s many-tentacled arms are functional or not. The dilemma in which Alex finds herself is a symptom of a deep structural flaw within her strata scheme. A strata scheme with three owners of asymmetric properties is unworkable. The sums involved are small-scale and incapable of serving the purpose of collective provision for common property. The aggregate revenue from strata levies is $8,000, of which Alex is liable for 40 per cent, or $3,200. This figure is inordinately onerous for all three owners for the services received. It is particularly onerous at the moment for Alex – owner of Lot 1 – who, save for access via the common driveway, currently receives no services for her payments other than heartache. Even while onerous, the aggregate revenue is insufficient to adequately fund inevitable current (administrative fund) and capital (sinking fund) expenditures. collective insurance payments, much of which could be eliminated if the residences were not part of a strata scheme and residual insurance decisions could be tailored to individual discretionary deliberations. I have discovered a new level of hell run by the bitchy whiners of our body corporate. I am so done. The annual strata management fee is a smallish at $800 but additional fees are charged for running meetings and for document preparation. As a consequence, the portion of the annual levy revenue going into the sinking fund – approximately $1,700 in 2015-16 – is absurdly low. Therein is the root of the problem that underlies the predicament in the repair of Lot 1’s defects. There appears to have been no forward planning for prospective capital expenditures. The strata inspection report obtained for Alex’s purchase mentions in passing a '10 year sinking fund forecast' but there is no reference to such a document in any available BCS documentation, or in material received by Alex from BCS Wollongong. Condemned to strata hell in perpetuity? Could one escape from this hell by dismantling the strata scheme? Termination of any strata scheme is extremely rare — the procedures extraordinarily cumbersome. 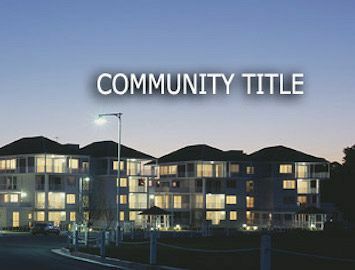 Conversion to individual Torrens Title – even with each unit physically separate as in this case – appears impracticable, effectively impossible. The problem with Alex’s strata scheme was immediately flagged in October 2015 with Alex’s notification of the necessity for urgent repairs. But fragments of evidence from documentation highlight that the problem had been bubbling for some years, yet put into the too-hard basket by a myopic strata management and papered over in the documentation. No wonder the previous owner of Lot 1 cleared out. The intransigence of proxy/owner 2/3 in denying repairs to Lot 1 is a mark of illegality and inhumanity but it is thus also a symptom of the deeper problem. BCS Wollongong has not bothered to think laterally as a means of alleviating or resolving the current impasse. It is paid only for box ticking. BCS' head office claims to offer lateral thinking solutions but it appears to care only about box ticking vehicles for profit generation. Does BCS' head office know or care what happens in Wollongong or comparable provincial outposts? It doesn’t appear so. There’s a moral here. If you’re contemplating buying a unit, check out who the strata managing agent is. If it’s BCS strata management, forget it. Life is far too short. Dr Evan Jones is a retired political economist. This is the second of a two part investigation. Read part one here. What the hell are my body corporate fees paying for exactly?